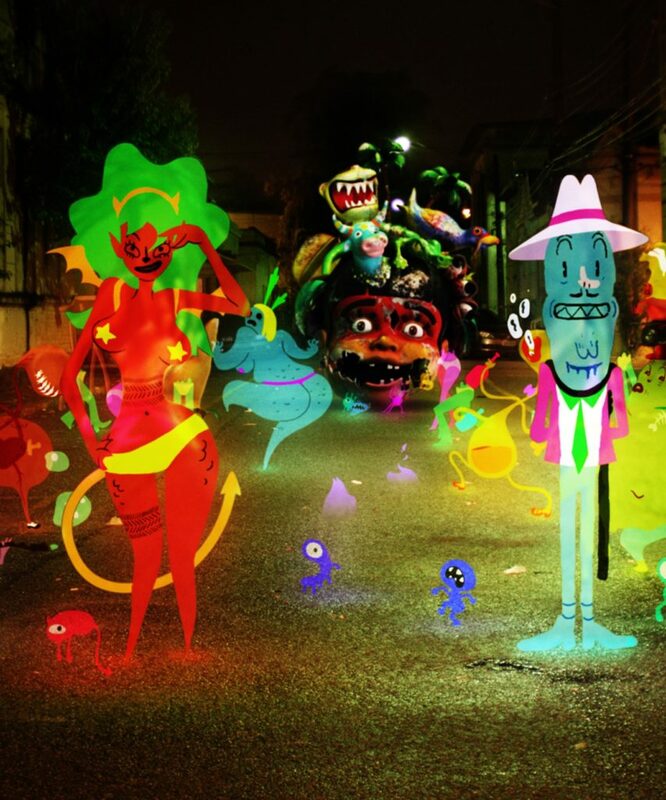 Shot in São Paulo, “Caveirão” imagines the secret nightly activities of spirits that cross the city. Inspired by the darkest side of Brazilian popular culture, the film crosses genres and techniques. Fantasy, horror and caricature meet through live action, 2D animation and VFX 3D.